Wow, Saturday was amazing. 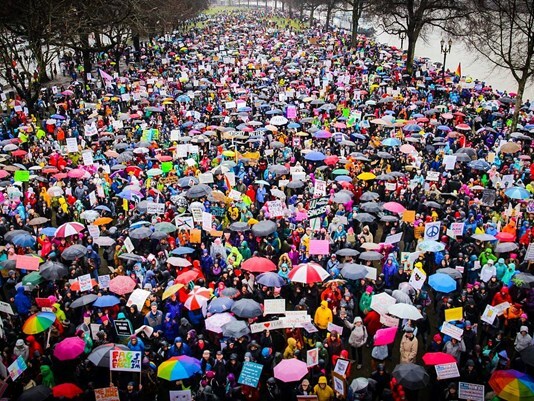 I was at the march in Washington, D.C., and I’m still feeling the unbelievable energy and solidarity of the hundreds of thousands of people who came. People across the country made it clear on Saturday that we’re not going to allow President Donald Trump and our other elected leaders to move an agenda that endangers women, families and communities. But Saturday was just the start. We need to turn that energy into action—and we have one thing you can do right now to keep up the momentum. Click here or dial 1-844-551-6921 now to call your senator and tell her or him why the women’s march on Saturday was important to you. It’s one way to hold your legislator accountable on issues like paid family leave, equal pay and stopping harassment in the workplace. Even if you weren’t at the women’s march in Washington, D.C., or a march near you, you can still take this action. We need to make it clear to President Trump and our congressional members that this was just the beginning in the movement for equality and justice. Call now to tell your senator why the women’s march on Saturday was important to you and that it is just the start of the work you’ll be doing to support women’s rights. 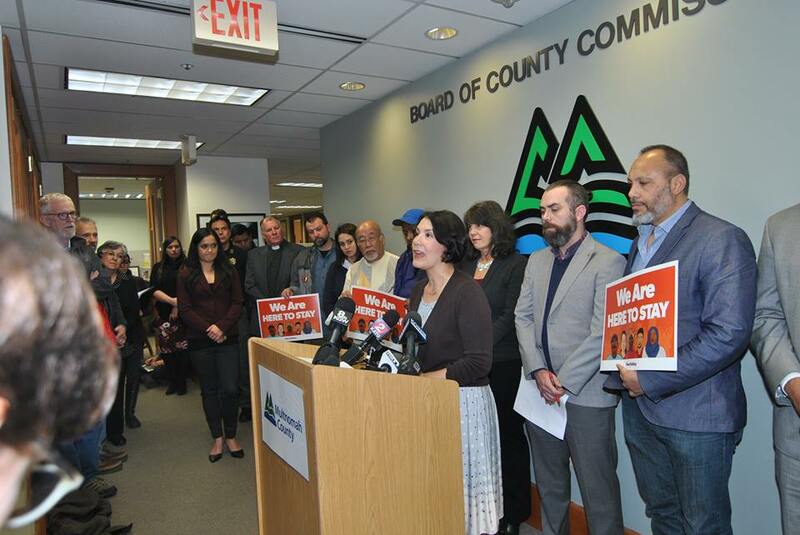 Today, our allies in the struggle for immigrants’ rights participated in a press conference at Multnomah County in response to President Trump’s executive order on immigration. Click here to watch the press conference, and stay tuned for more information about how changes to immigration policy will impact working people in Oregon. Oregon has a history of leading the way in elections, first with vote by mail and most recently through our ground-breaking Motor Voter system, which automatically registers voters through the Department of Motor Vehicles. Motor Voter works, helps ensure the security of your vote and potentially saves tax payers money. Accurate data makes it easier for officials to maintain accurate lists of eligible voters. They can verify that only eligible voters can cast ballots by maintaining up-to-date lists. The streamlined electronic system drastically reduces the potential for error and keeps the data more secure by using existing technology. 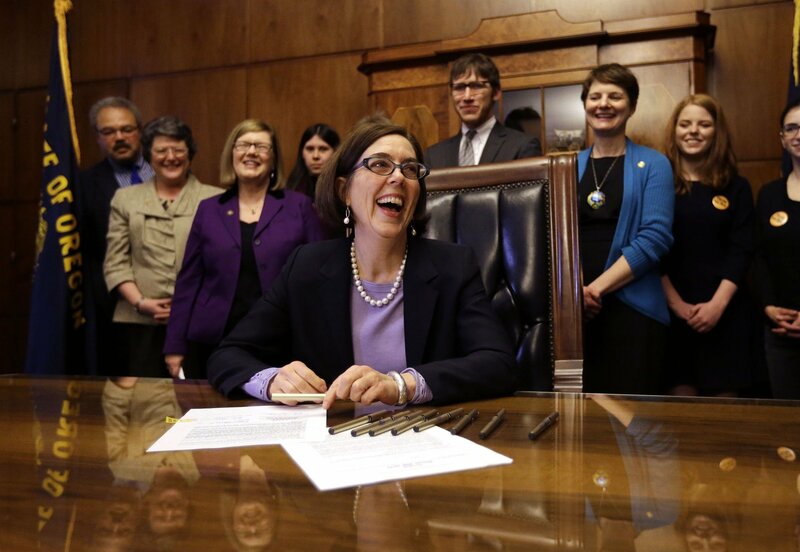 Oregon is potentially saving a significant amount of money because of its streamlined voter registration process. Processing paper voter registrations costs almost 30 times more than an electronic registration.